Price includes from 1 to 10 passengers. The extra adult cost is $79 USD. The extra child cost is $59 USD. Maximum Additional passengers 8(Adults or children). 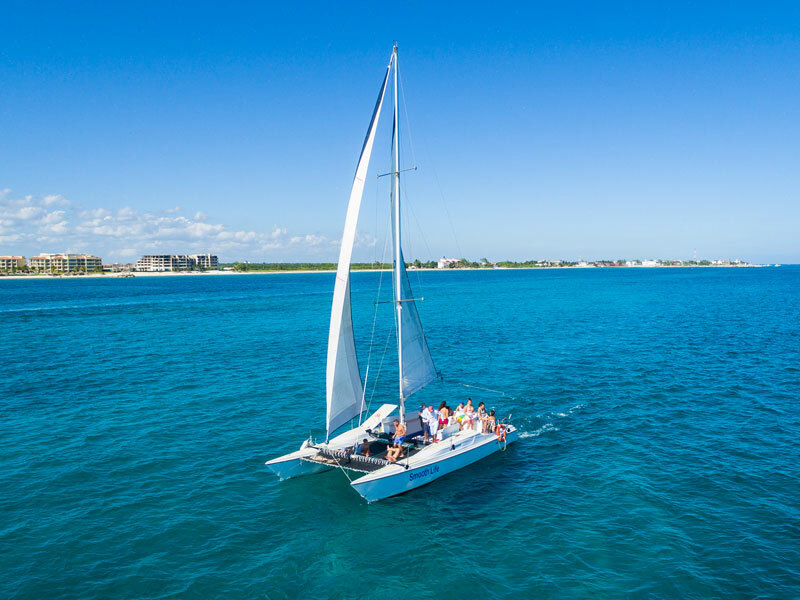 Surprise yourself with the turquoise colors of the Mexican Caribbean on board this amazing catamaran with capacity for 18 passengers. 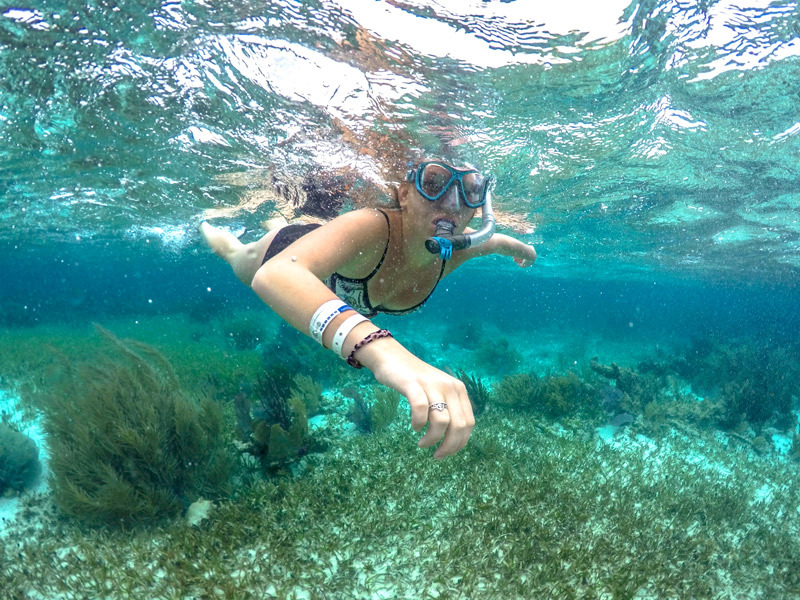 We sail 45 minutes south from Puerto Morelos, and do around 30 minutes of snorkeling around a spectacular reef full of marine life. 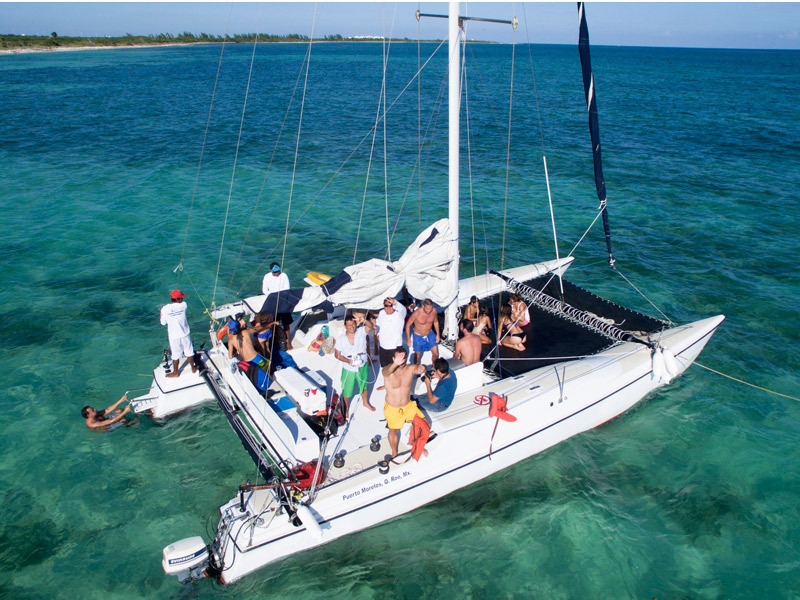 Feel the breeze, relax and enjoy the natural Caribbean scenery. 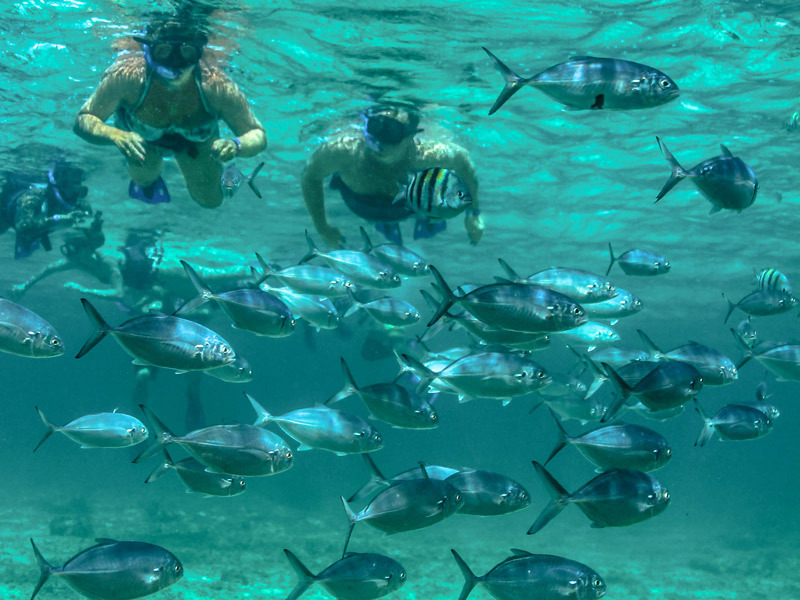 In addition, we will stop in a blue place where you can enjoy the warm waters and practice your diving! 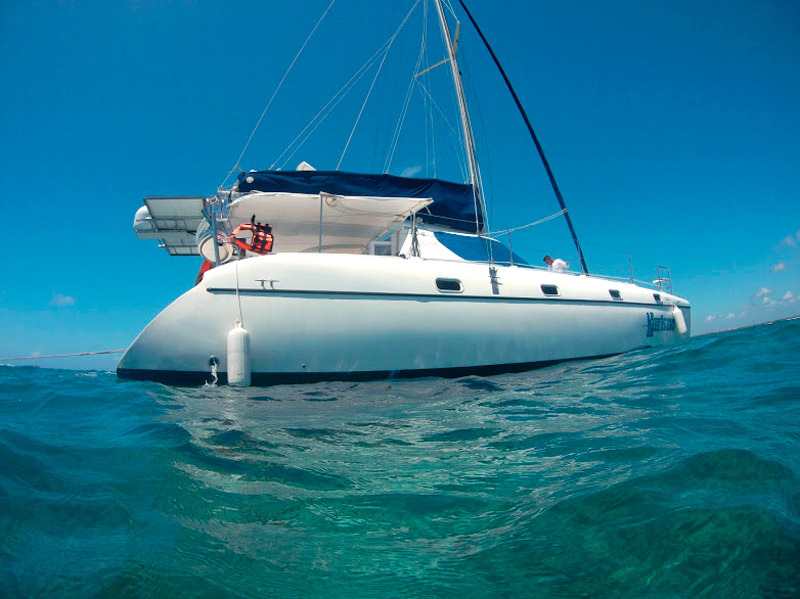 On our sailing way back we are going to enjoy a delicious snack & open-bar on board with beer, rum, vodka, tequila! And soft drinks. 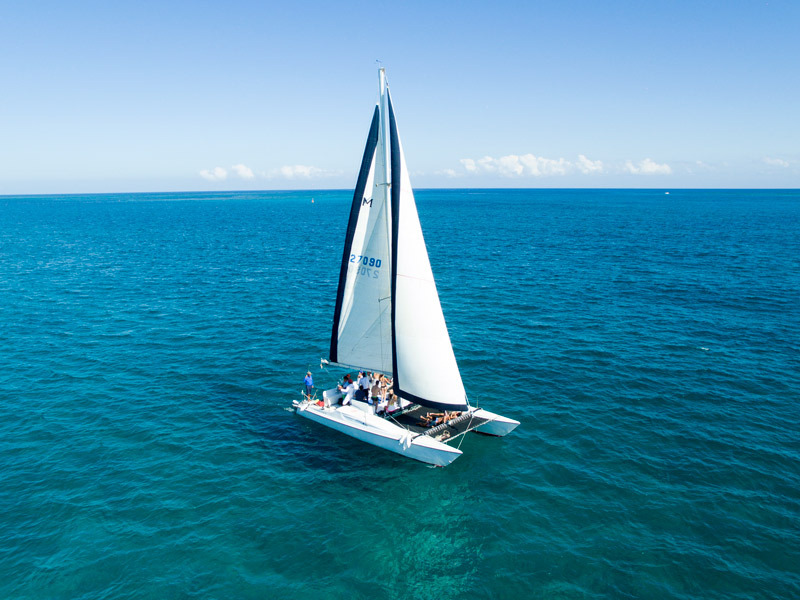 This versatile catamaran is ideal for family and friends for making that amazing sailing party or that beautiful, relaxing day sailing around. 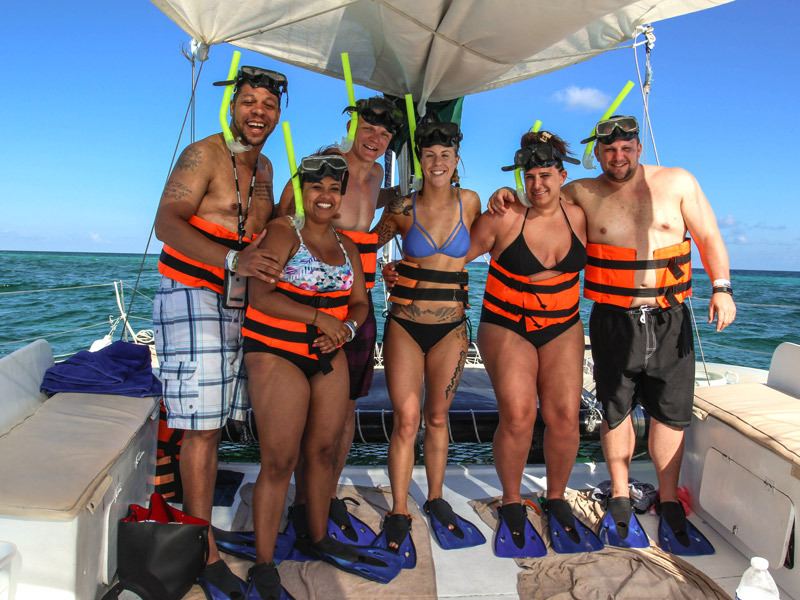 An authentic Caribbean experience in only 4 hours! 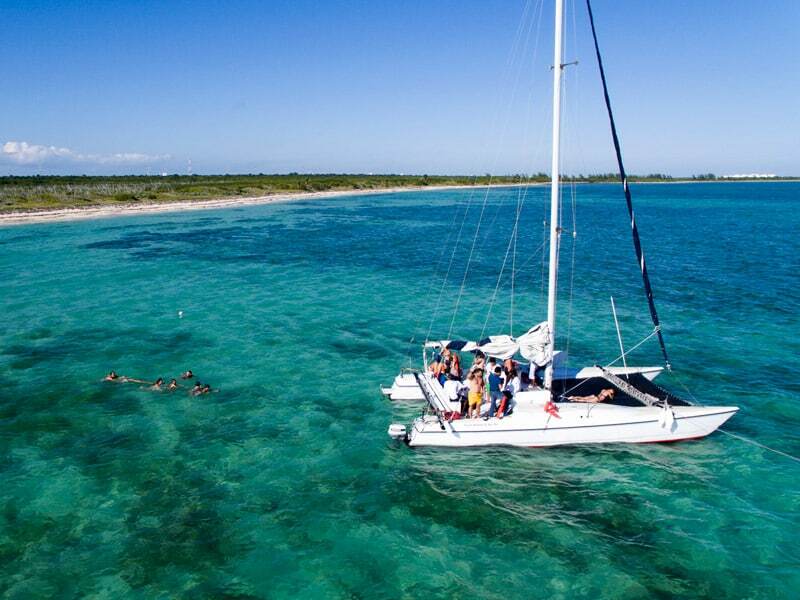 Sailing & snorkeling experience in Puerto Morelos Bay. 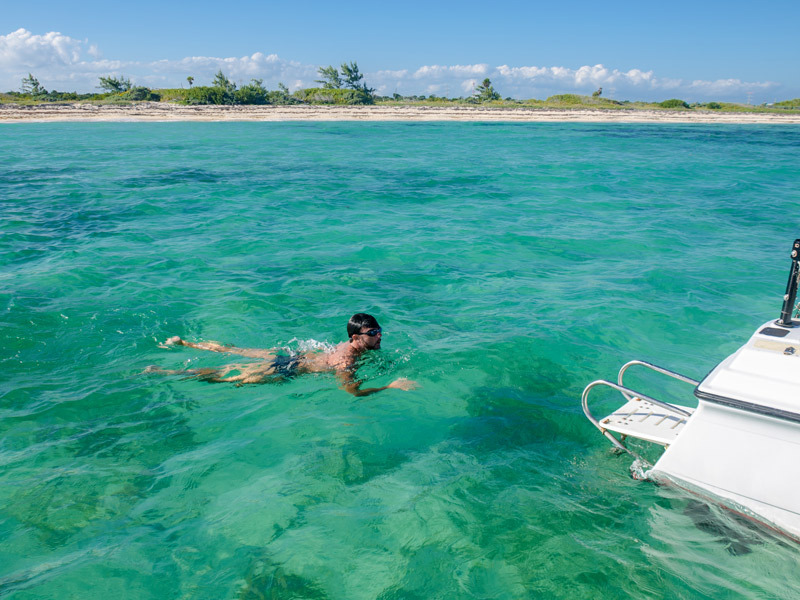 Daily departures from Cancún, Puerto Morelos & Playa del Carmen. 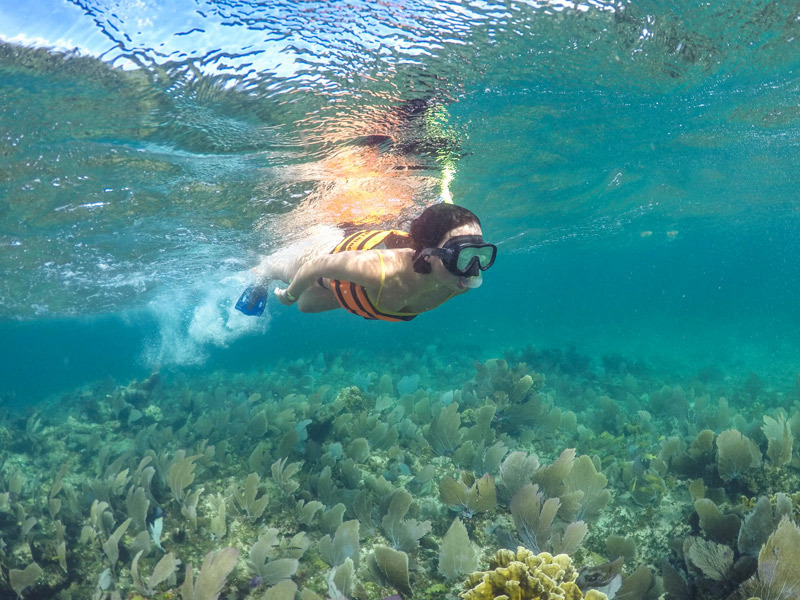 Snorkeling Equipment (mask, tube, fins and life vest) for adults and children. 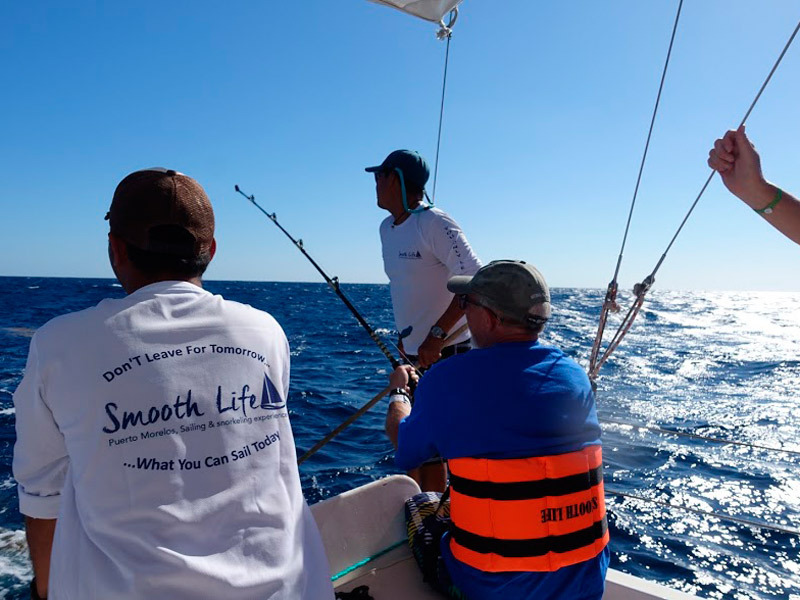 2 Fishing rods (optional) -You can require it at time of booking. Shaded area with seats for 8 to 10 people. Platform is half trampoline & half rigid deck. 09:00 A.M. – 1:00 P.M. Pick up & Drop off time are according to your hotel distance. Cancellations made 3 or more days before the programmed schedule for the tour, have a 10% charge. Cancellations made from 0 to 2 days before the programmed schedule for the tour, have a 100% charge. No refunds apply if you do not show up at the meeting point or pick up place established for your tour. Swimming stop in a shallow area. Take a look at other options!